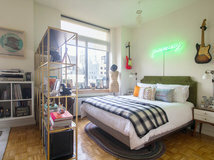 Time to Give That Nook Another Look? 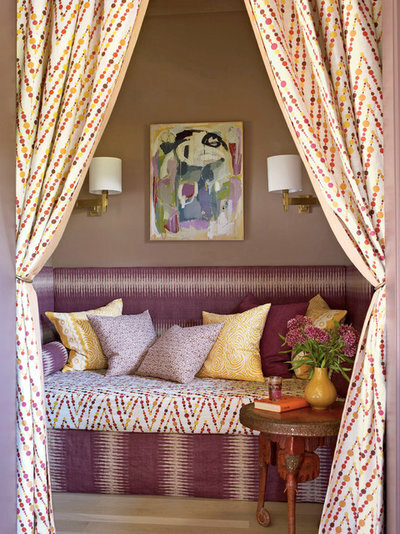 Nooks are one of those features that often become a favorite place in the house. But they can leave us puzzling over exactly what to do with them. If you have a nice nook to work with, lucky you! But if yours isn’t that inviting, it’s time for a revamp. 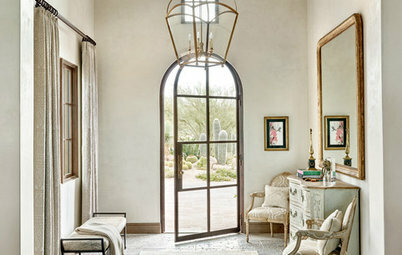 One or two of these designer ideas could be just the thing to inspire a reinvention. 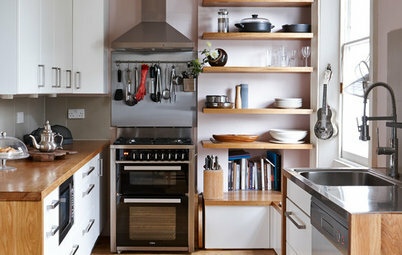 Create a kitchen respite. 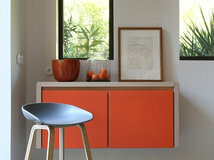 Just because you have a nook in the kitchen doesn’t mean it has to be a dining nook by default. 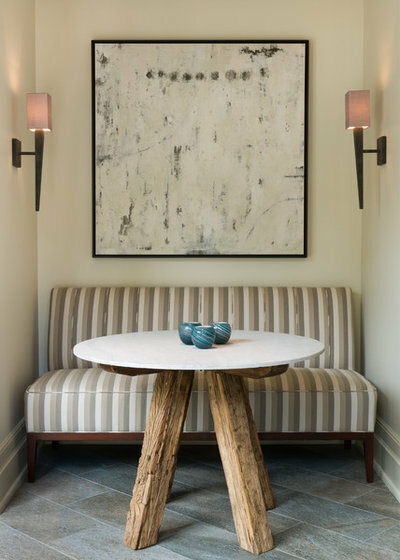 If you have a built-in banquette or dining bench and find that you aren’t having many meals there, make it a spot where you can put your feet up and relax with your morning coffee, afternoon tea or Sunday paper. This one even has a TV so that the cook can take a break from kitchen work to watch a cooking show. 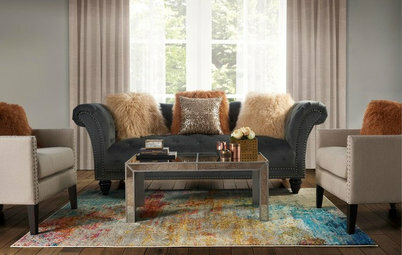 Adding a small side table or cocktail table will give you a place for your beverage, phone or whatever else you need close at hand. Go big with art. Small spaces love large-scale artworks. 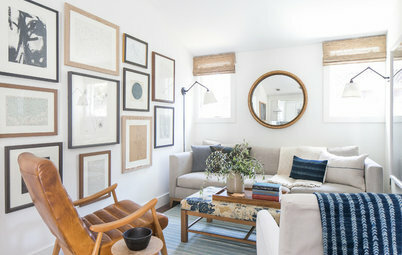 A piece that takes up most of the wall draws the eye to this living room recess. Cover it with chalkboard paint. 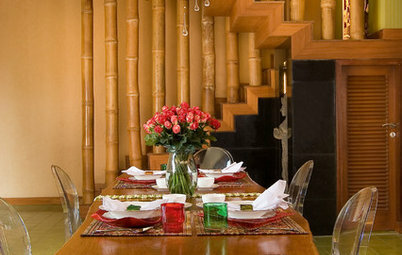 A dining nook is a prime spot for art you can switch out, whether it’s a menu or kids’ doodles. Just be sure the bench below is covered in a fabric that’s easy to wash — it will be challenged by chalk dust and little feet. Layer in wallpaper. Nooks are a great place for an accent wallcovering or paint color. If it’s in a small workstation like this one, you’ll be staring straight at it, so choose something that inspires you and makes you happy to be there. Tie it into the rest of the room. 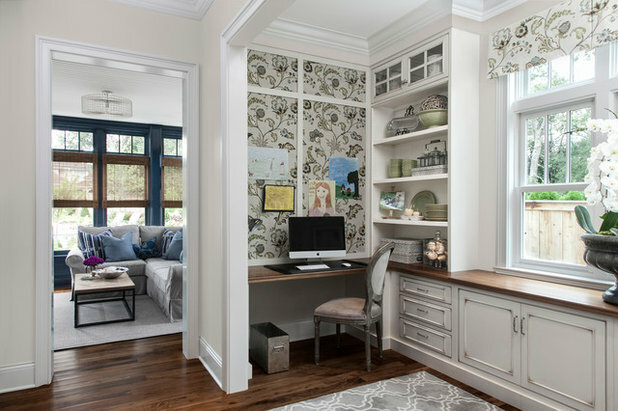 In this work nook, fabric-wrapped corkboard coordinates with the valance fabric and provides a place to hang children’s art, to-do lists, and important documents and bills that need attention. Make everything neat and organized. 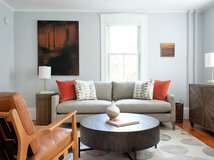 This couple’s Boston living room also has to serve as a workspace and is within view all the time. 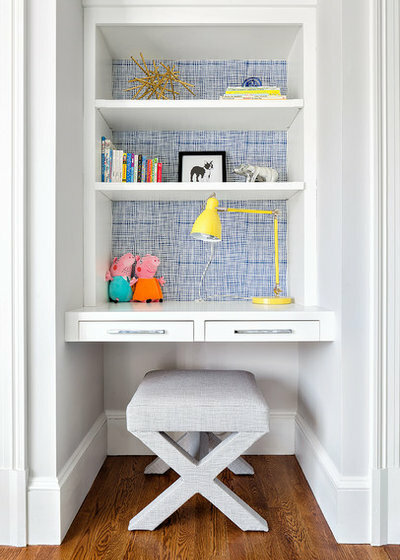 A neat desk surface, hidden paper storage in the adjacent cabinets and pretty storage boxes keep this hardworking nook looking living room-appropriate. Fluff it up. Turn your nook into the place where you’ll start to read — and then succumb to a power nap within about 10 minutes. Fluffy pillows and a faux fur throw make this bedroom nook hard to resist. Curtain it off. Back in the days before climate control, heavy drapes were a good way to keep drafts out of nooks. 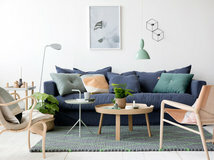 Now they’re a fun throwback that can introduce print, pattern and color into a space. You also can draw them when you want to feel extra cozy and private. Change up the upholstery. 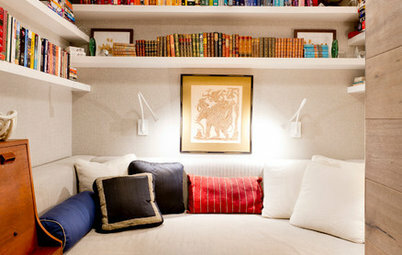 Throw pillows are the easiest way to switch out the vibe in your nook. Here, they add cheery color to the kitchen. It’s also easy to have a bench cushion cover made in a different fabric if you’re yearning for a change. Shed new light. 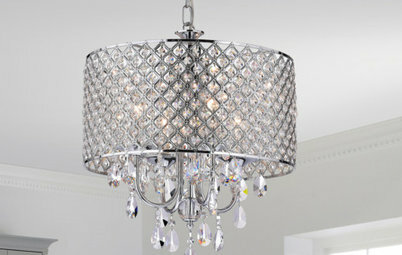 If you want to draw attention to your nook, give it some sparkle with a lovely chandelier, as shown here. 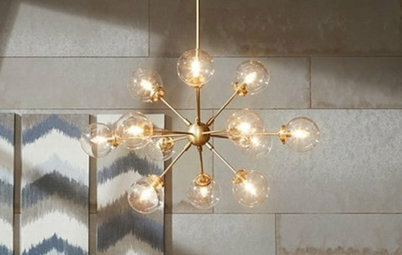 If you want to make your nook more comfortable for reading, choose wall sconces that provide ample light. 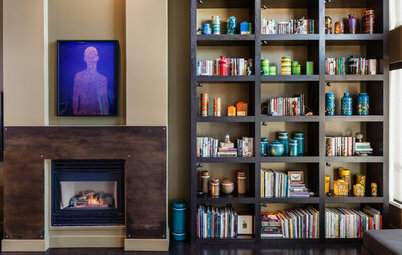 Tell us: How have you decorated your nook? Please let us know in the Comments. We have a dormer window nook in each of the three upstairs bedrooms, one with a bed in it , one with a desk and now one with a cot and baby stuff in our 'Grandies' nursery. My daughters loved the 'intimacy' of the nooks in their bedrooms and it added floor space as well as interest to the rooms. 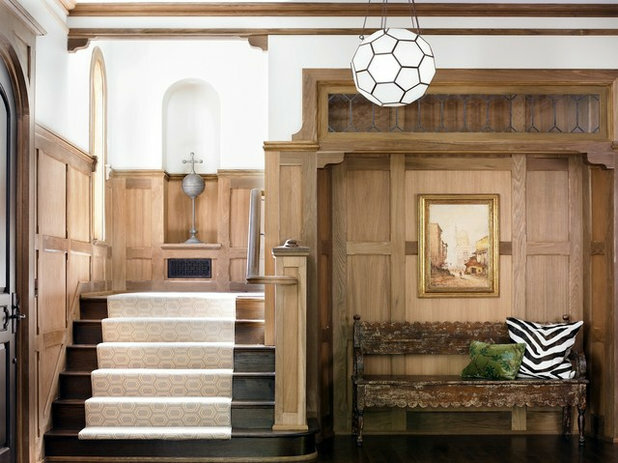 See the photos of entryways and foyers that have been getting the most saves to ideabooks lately. Have you saved one of them too?